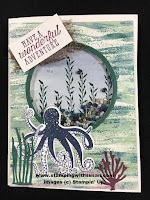 Angie Cleveland designed this card for a demonstration for our recent Occasions and Sale-A-Bration Open House. A cute little Shaker card for Valentine's Day, weddings, anniversaries using non-Valentine's colors, in this case, Petal Pink and Mossy Meadow. 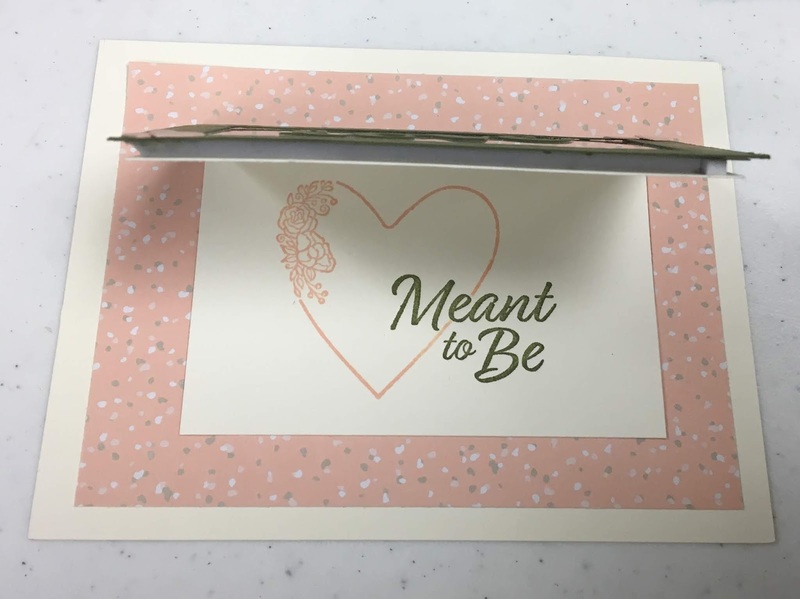 Shaker cards are fun to make and fun to receive. And not difficult to make at all. She had die cut a framelit with multiple hearts for a different project and used the little heart pieces, along with some sequins, for the shaker piece. 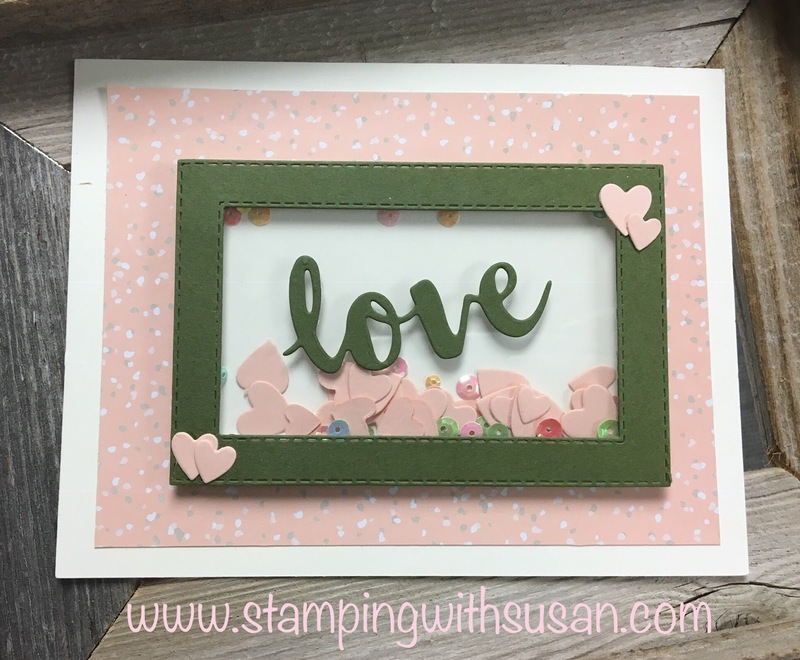 Angie used strips of a Window Sheet to hinge the shaker piece revealing another stamped image on the inside.